Links | Samtpfoten Neukölln e.V. 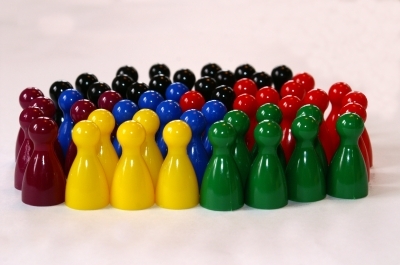 Here are some links to associations or shops that we’d like to recommend. Please let us know if any of the links no longer works or if you feel that the content of a website is disputable – we’re going to check on this as soon as possible. Susan Lentz’s shop offers food and other products for diabetic animals. You will also find handmade cat toys and wonderful stuff in memory of tomcat Pauli. The shop is not primarily profit-oriented and our association profits from the proceeds generated from it. 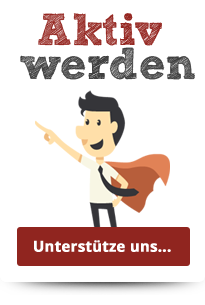 Ladenzeile.de is an online marketplace that combines 500 shops and more than 20 million products. It makes finding the right products and comparing prices easy. It also recommends itself for its support of many social and non-profit organizations and projects. If you don’t want to use herbicides, biocides or neurotoxins to protect your cat from parasites you might want to try Formel Z, a natural product that protects your cat against fleas and ticks – without any side effects. Herzblut für Katzen is a feline blood donation data bank. Don’t wait until your cat needs the operator’s help, but register your cat as a potential blood donor and save cat lives. A blood donation is easy, not risky and often the very last chance for the recipient of the donation. Projekt Kitty helps stray cats living on the streets all over Germany by providing food. They also organize the neutering of strays – every year Projekt Kitty has around 5,000 cats neutered. For us, Projekt Kitty is one of the most important cat protection initiatives. ‘Ein Freund fürs Leben e.V.’ is an association that rehomes cats and dogs in Germany and beyond. They cooperate with a Spanish organization. ‘Katzenhilfe Uelzen’ is a very active association of animal rights activists. They cooperate with ‘Vier Pfoten’ to organize the neutering of cats in and around Uelzen in Niedersachsen and they also have a huge network of people who look after cats for a limited period of time. Samtpfoten Neukölln is in close contact with the Berlin division. Nice people, wonderful projects – an association that deserves support. Katze.cc offers information on a variety of topics and sells interesting and extraordinary products to do with cats. Just drop by every once in a while – it’s worth it! Berliner Stadtkatzen is a small association that is kept alive through the enormous commitment of highly motivated people. They have also set up a network of cat welfare organizations. ‘Deutscher Katzenschutzbund’ runs a cat asylum in Berlin-Lichtenrade. They look after cats that have been abandoned by their owners and find new homes for them. If a cat cannot be rehomed, the asylum becomes its permanent home. The Deutscher Katzenschutzbund can cater for 30 cats in their asylum and 15 cats in temporary homes. In addition, they provide food for around 15 strays at various feeding sites. The ‘Tierschutzverein für Berlin und Umgebung Corporation e.V.’ runs the animal shelter in Berlin-Falkenberg. The ‘Tierisches Verzeichnis’ offers a comprehensive collection of links to sites to do with animals. A wonderful place to browse! Enjoy! If you’re living with a disabled cat or are interested in the topic, Sonnenkätzchen is the place to go for well-founded information, also on topics and questions dealing with healthy cats. Please note that this is not a forum for chatterboxes – ‘Sonnenkätzchen‘ is meant for people who want to share information and exchange ideas. The tone is very informal and friendly and full of esteem. You need to register to post comments. Abusive and garrulous comments will be removed quickly and discreetly. The links collected on Netz-Katzen.de provide comprehensive information on all topics concerning cats. It is a huge forum comprising an enormous number of contributions, so you have to read up a lot if you want to be able to assess them. As in any other big forum it’s advisable to stay critical of some contributions, but if you invest a little time, you will find a lot of food for thought. Shopping at ‘Cafe Vegan’ offers you many culinary delights. You can find fantastic coffee and espresso here that is organic and fair trade and will convince also critical coffee connoisseurs. 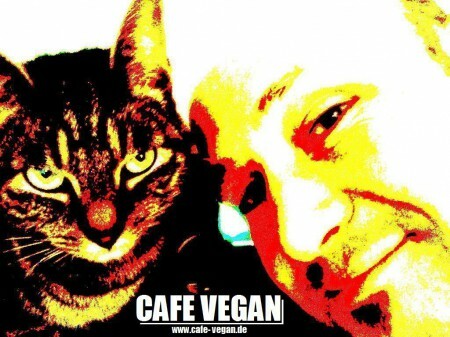 Café Vegan supports various social projects. A great concept!